It is interesting to watch some of the people attending a Bodybuilding/Fitness & Figure contest and hear the comments from them as they leave, noting they could have easily stepped onto that stage and claimed some of the shiny hardware. It seems that there are some “wannabes” out there that think the time, energy and effort to step on stage is merely hitting the gym a couple of times a week and cutting their ice cream and wine consumption down to two or three days per week. It’s indeed a HUGE commitment that needs to be considered very carefully before you decide to order your posing suits and tanning products. I have addressed the topic of competing numerous times with friends and family over the past couple of years. I started on the path to competitive bodybuilding a couple of years ago. Over this time period I have learned much about the “intangibles” of competing in bodybuilding. When I say “intangibles” I’m referring to those events leading up to the event itself. The contest is merely a culminating exercise of all your efforts over the past several months. It is a tremendous effort of the time, energy, knowledge and financial commitment required in the months leading up to the contest that one must understand. To become a true competitor you must understand that bodybuilding is an incredibly challenging sport. It will push you to extreme physical, mental, and psychological limits unforeseen by any other athlete in any other sport. I’m not discrediting other sports here by any means, but the discipline and dedication in bodybuilding is extreme. How many athletes can say that their success is solely dependent on highly focused diet restrictions, almost inhuman amounts of physical training and carefully prescribed levels of supplementation that can stress your personal finances and at times tax your physical health during final preparations before getting on stage. As such my first piece of advice to anyone thinking of competing is this: You will need to know that your life will be a virtual hell for 16 weeks and those that dare to be near you to endure your caustic disposition will need to wear a HAZMAT suit. 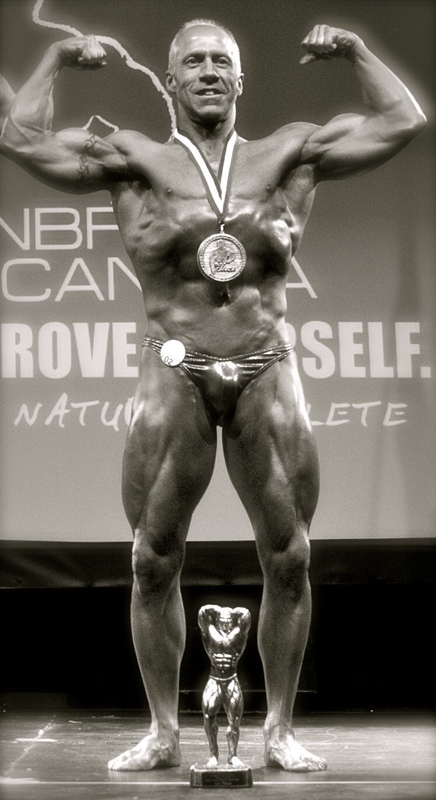 My best performance on stage was a result of putting my bodybuilding first. I refer to a bodybuilder who does it right (many of my Pro athlete friends know what I am talking about here). By doing it ‘right’ I’m stating that in order to compete to win, you need to place everything else on the backburner. You must not waiver from you diet or training whatsoever. I have seen other competitors lose friends, girlfriends and worse yet almost their families because of this insatiable quest to be the best on stage. I don’t say these things to scare people away from competing but I feel obligated to advise you that it would be beneficial to have the support of your family and friend before deciding to compete as there have been a number of competitors who went against the grain and created a health movement despite their odds. My second piece of advice for those thinking of competing for any other reason than to push yourself through one of the most challenging experiences of our life, you shouldn’t compete. If you are competing to make a former girlfriend jealous or become as wealthy as a sponsored athlete or to even secure a spot in a movie, stop now and select a new hobby.